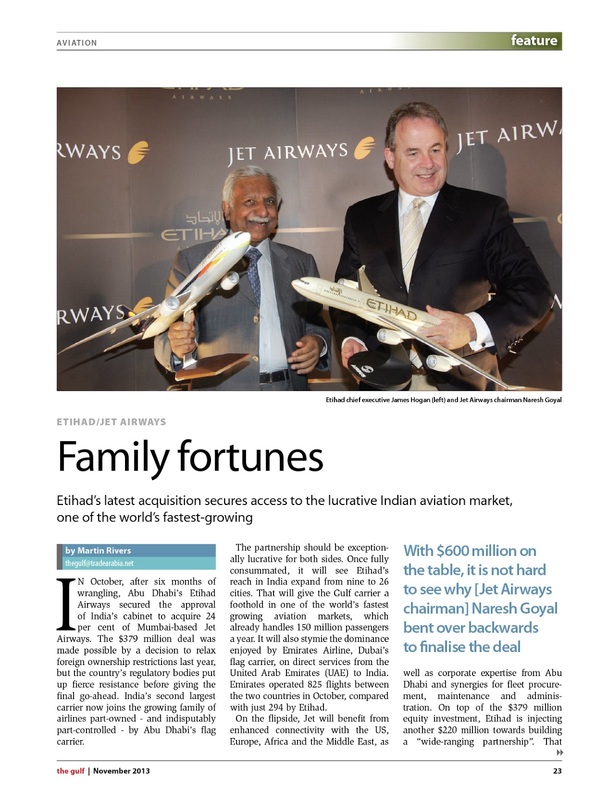 In October, after six months of wrangling, Abu Dhabi’s Etihad Airways secured the approval of India’s cabinet to acquire 24% of Mumbai-based Jet Airways. The $379 million deal was made possible by a decision to relax foreign ownership restrictions last year, but the country’s regulatory bodies put up fierce resistance before giving the final go-ahead. 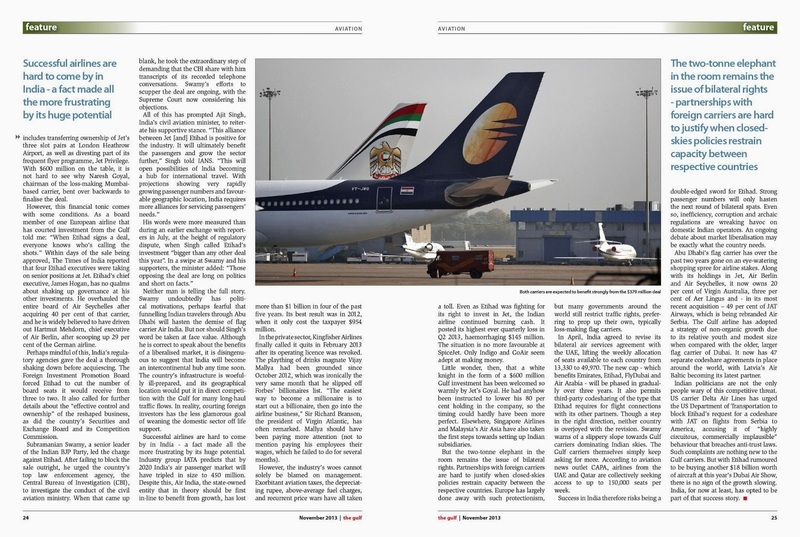 India’s second largest carrier now joins the growing family of airlines part-owned – and indisputably part-controlled – by Abu Dhabi’s flag carrier.